We have the Gleason strain of this traditional good canning peach, as well as a strain know as "Giant Elberta". 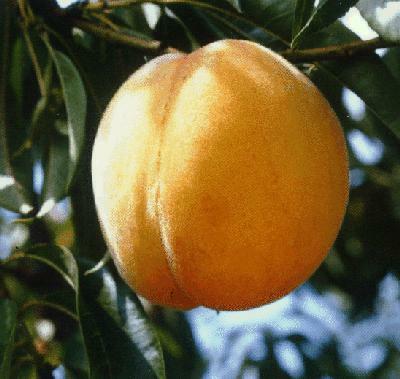 A yellow peach with an occasional red blush, Elberta flavor is good, and the flesh is very firm. Elberta is freestone with slightly astringent, fuzzy skin, which slips off easily when the peach is briefly put into boiling water. Early Elberta Ripens from late August to early September in the Willamette Valley.